Innovative, lightweight and stylish. 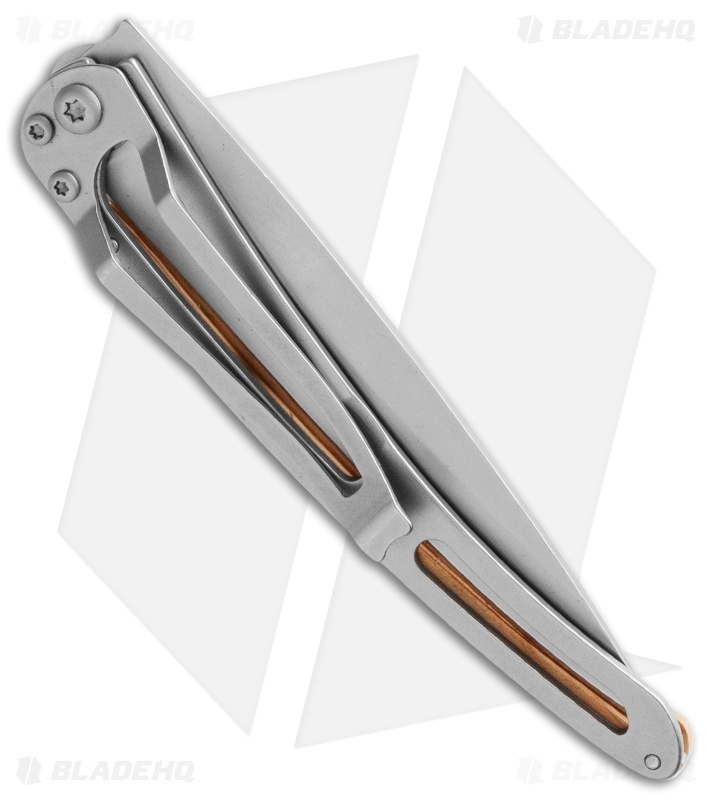 The Deejo pocket knife is an everyday accessory available in a wide array of colors, materials, and sizes to compliment your style. 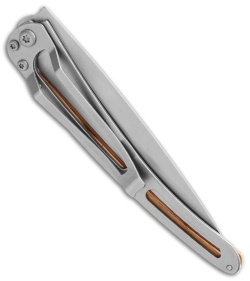 The Deejo folder has everything essential in a pocket knife: sharp blade, locking system, and pocket clip. It has a satin finished 420 steel blade and the handle design incorporates a stainless steel frame with a liner lock tab and a tip-down carry pocket clip. The Deejo is the epitome of minimalist knives and ready for both daily use and outdoor adventures! 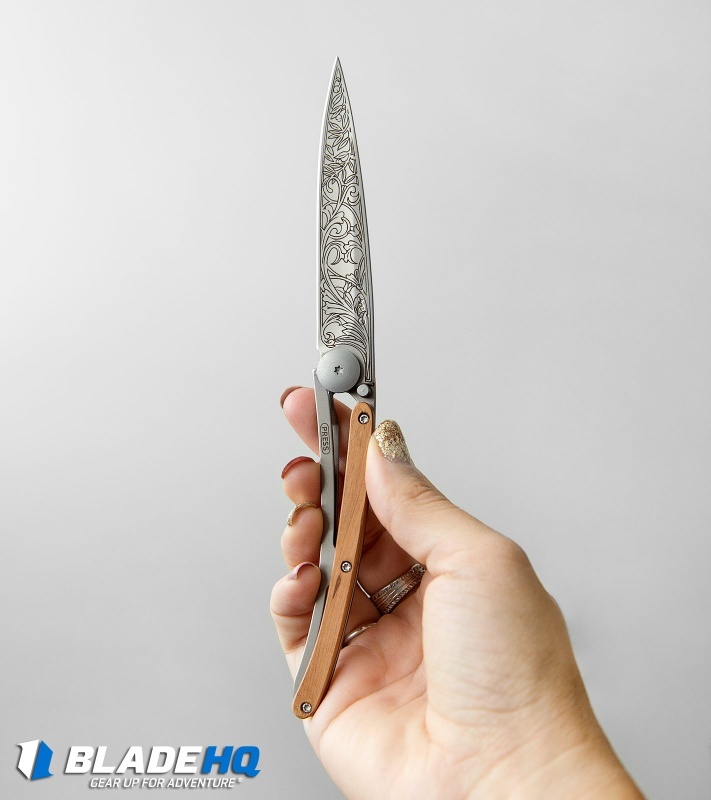 This 37g folding knife is part of the Deejo Tattoo line. 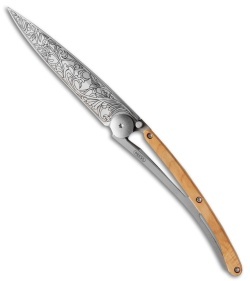 It features a Tree tattoo graphic on the blade, and a Juniper handle slab. Includes a display box and Tattoo booklet.